﻿ Lake Logan State Park - Ohio. Find It Here. 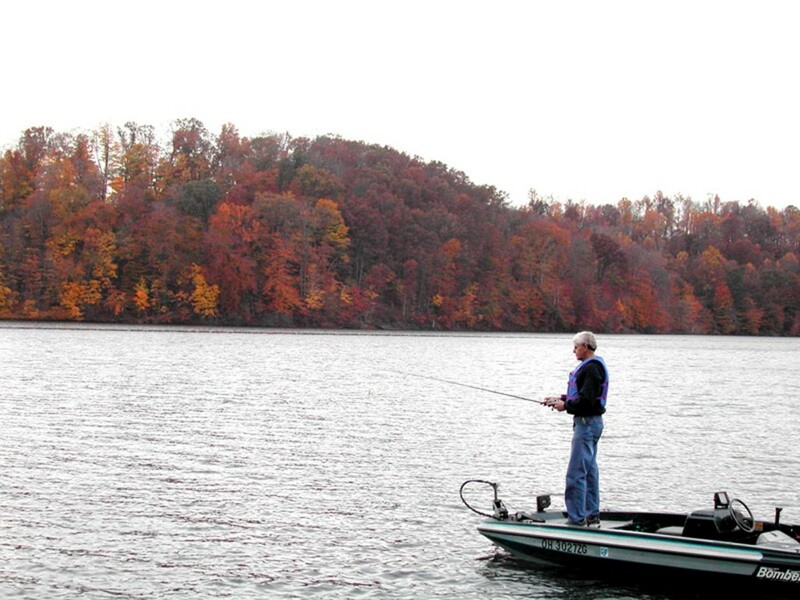 One of the best fishing lakes in Ohio awaits sportsmen in Hocking County at Lake Logan State Park. The 400-acre lake sports northern pike, bass, bluegill, crappie, catfish and saugeye. Lake Logan is a 318-acre day-use park that provides scenic picnic areas and secluded walking paths to enjoy the wooded beauty of Ohio's hill country. Much time has passed since the region surrounding Lake Logan was first uplifted from the ancient sea that once covered most of Ohio. This unglaciated plateau in the southeastern part of the state is Ohio's oldest landscape as the glaciers never invaded the region. Lake Logan State Park lies in the Hocking Valley, formed by the Hocking River. The Hocking was a major outlet for glacial meltwaters. These waters deposited large amounts of outwash material, primarily sand and gravel, which strongly affected the type of biological communities present today.